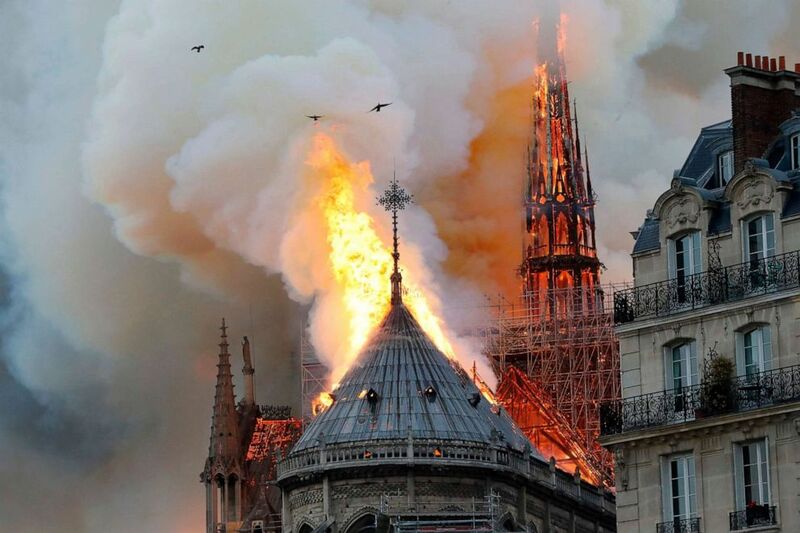 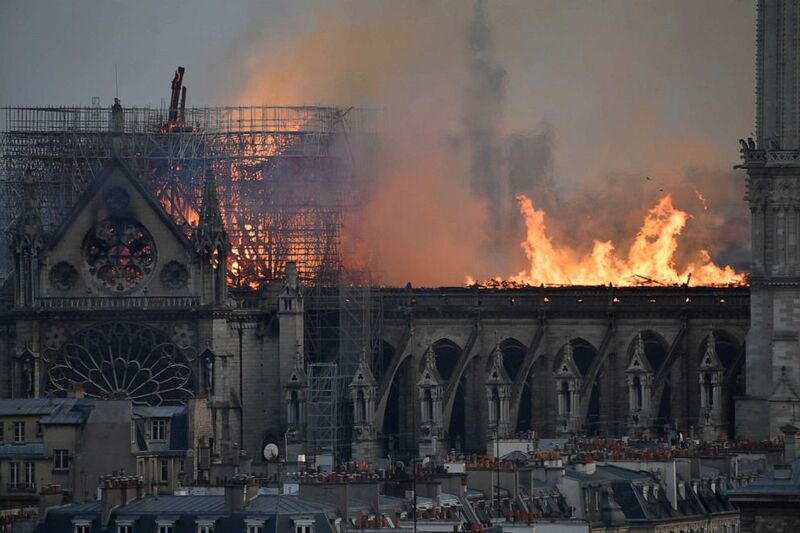 (Julien De Rosa/EPA/Shutterstock) Flames burning the roof of the Notre-Dame Cathedral in Paris, April 15, 2019. 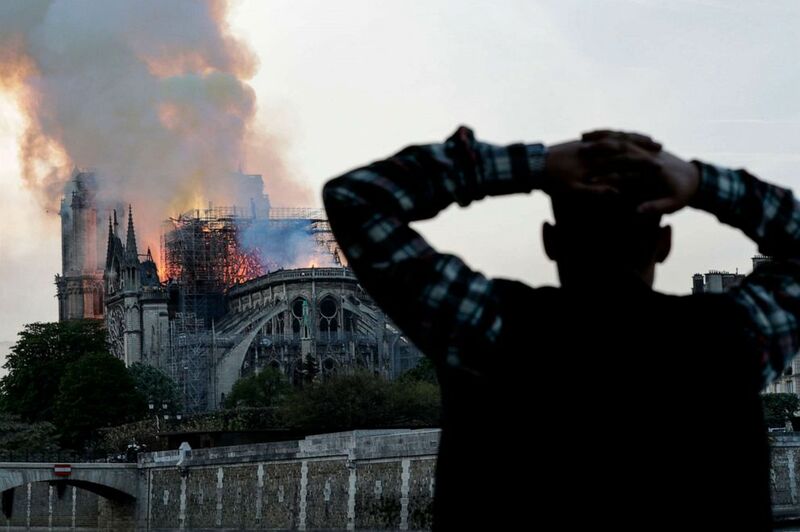 (Geoffroy Van Der Hasselt/AFP/Getty Images) A man watches Notre-Dame Cathedral burn in Paris, April 15, 2019. 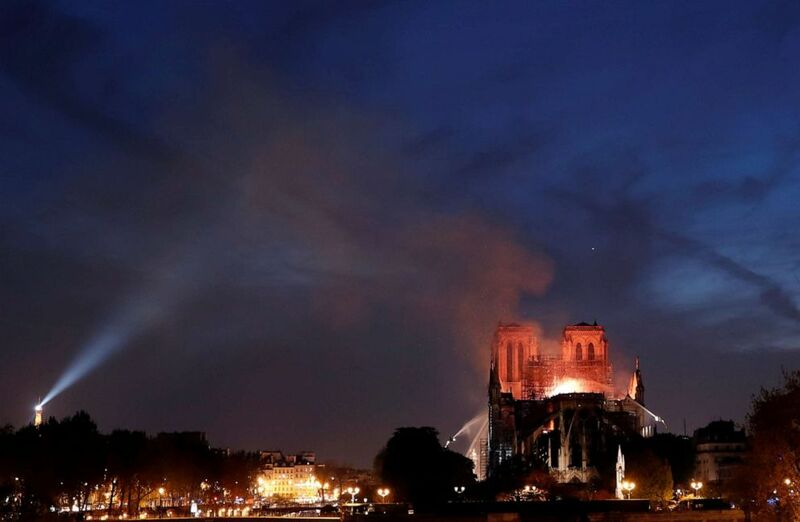 (Benoit Tessier/Reuters) Fire fighters douse flames of the burning Notre Dame Cathedral in Paris, April 15, 2019. 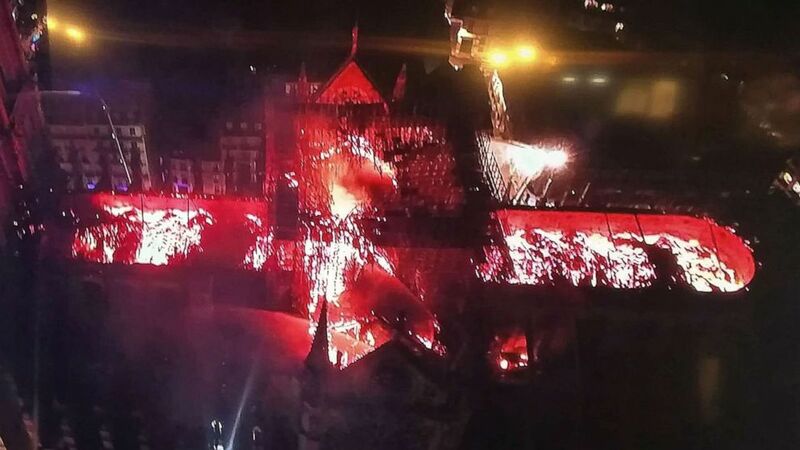 (AFP/Getty Images) An image taken from a television screen shows an aerial view of the Notre-Dame Cathedral engulfed in flames on April 15, 2019, in the French capital Paris. 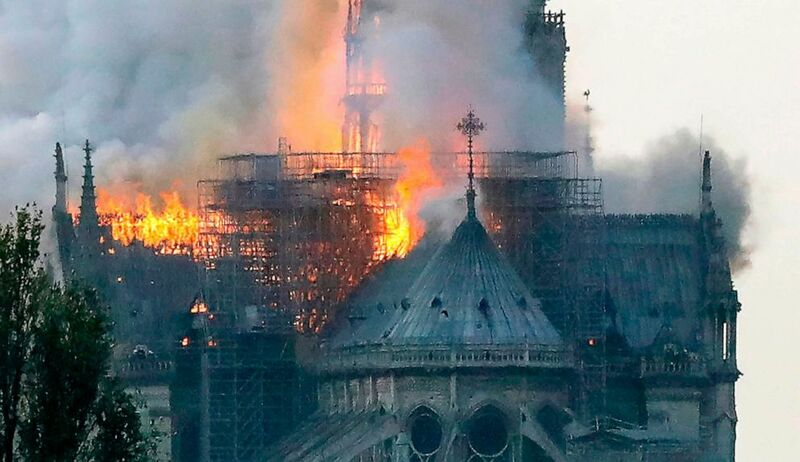 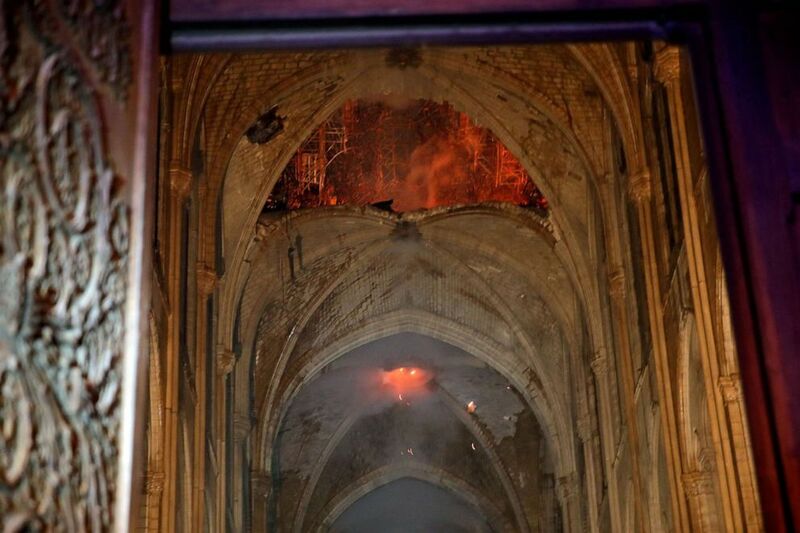 (Philippe Wojazer/Pool via Reuters) Flames and smoke are seen as the interior continues to burn inside the Notre Dame Cathedral in Paris, April 16, 2019. 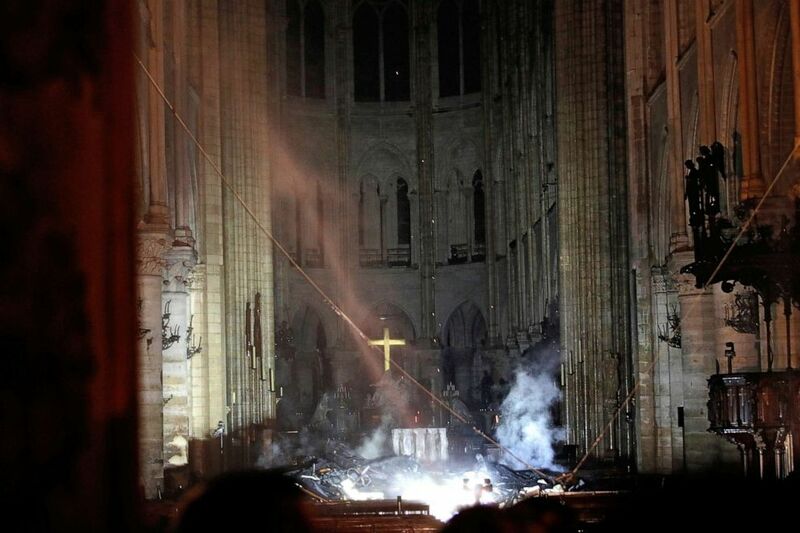 (Philippe Wojazer/AP) Smoke is seen in the interior of Notre Dame cathedral in Paris, April 15, 2019.